We’re in a bad mood epidemic. Depression and anxiety have tripled in the last ten years. 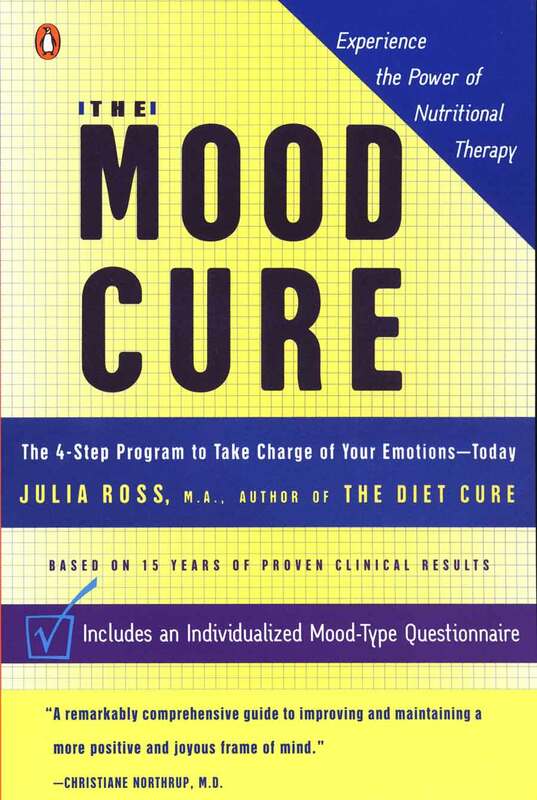 The Mood Cure explains why and provides the good news that we can feel better emotionally without the use of caffeine, alcohol, tobacco, or anti-depressants—and the even better news that we can begin to see the results in just one day! Beginning with the 4-part questionnaire to identify your mood type, it is a comprehensive natural approach that jump-starts your recovery with brain-fueling amino acids, plus a diet rich in good-mood foods such as protein, healthy fat, and certain key vegetables. Reader Reviews: A few of the 500 reviews posted on Amazon for The Mood Cure. depression and anxiety issues have been better than ever. This is the real deal, and for the first time in my life I can see a future that doesn’t require daily medication. Highly recommended!! Julia Ross is my hero. The four emotion-generators in your brain are called neurotransmitters, and each has a distinctly different effect on your mood. Take this questionnaire to identify your own false mood symptoms. The following is a short version of the questionnaires we use in our clinic. Need help customizing the suggestions found in The Mood Cure? 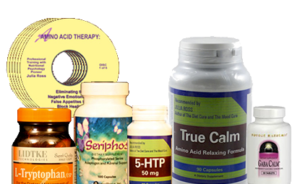 Effective sleep therapy depends on identifying each insomniac’s unique biochemical and lifestyle challenges, followed by tailored recommendations for nutrient supplements, food, and lifestyle changes.